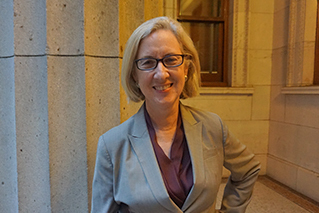 Lynn M. Kelly, J.D., is the Executive Director of the City Bar Justice Center, a division of the City Bar Fund which is the 501(c) (3) affiliate of the Association of the Bar of the City of New York, one of the largest and most influential local bar associations in the nation. The Justice Center’s mission is to mobilize the legal community to help bridge the justice gap. The Justice Center recruits, trains and mentors pro bono attorneys to provide free legal representation, community education and advice to more than 20,000 low-income New Yorkers. The Justice Center matches over a thousand pro bono cases each year leveraging $17 million in free legal services to the poor. Ms. Kelly is experienced in designing and operating effective civil legal programs for low income clients including leading MFY Legal Services for nine years, serving as a litigator and manager with the Civil Division of The Legal Aid Society and teaching litigation skills in Fordham, New York University and New York law schools’ clinical law programs. J.D. New York University School of Law; B.A. Mount Holyoke College. Alice Morey has been Managing Attorney since 2001. 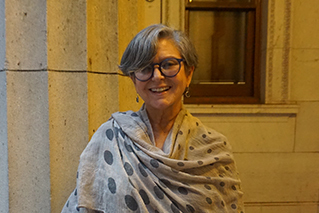 Prior to joining the Justice Center, Ms. Morey was a faculty member at the CUNY School of Law where she taught in the areas of family law, elder law, public benefits and administrative remedies and co-directed the law school’s Workfare Advocacy Project. Ms. Morey also served for four years as Associate Director of the law school’s Continuing Legal Education, Training and Consultation Program, advising administrators and staff of state and city agencies on organizational and professional development. Ms. Morey began her legal career as a law clerk for the Pennsylvania Supreme Court, was a staff attorney with the Juvenile Rights Division of the Legal Aid Society, taught in Hofstra School of Law’s clinical programs and was a staff attorney with the Affirmative Litigation Division of the New York City Corporation Counsel’s Office. Ms. Morey serves on the Board of Directors of Project FAIR, of which she was a founding member. She is a graduate of Barnard College and Hofstra School of Law.